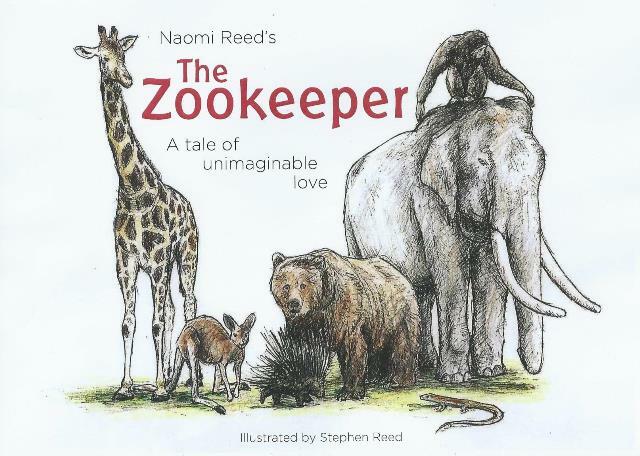 The Zookeeper – a tale of unimaginable love, is an original narrative by Naomi Reed, written to appeal to a wide audience of children and families. It tells the whole Biblical story, from creation to recreation, through the use of engaging allegory. 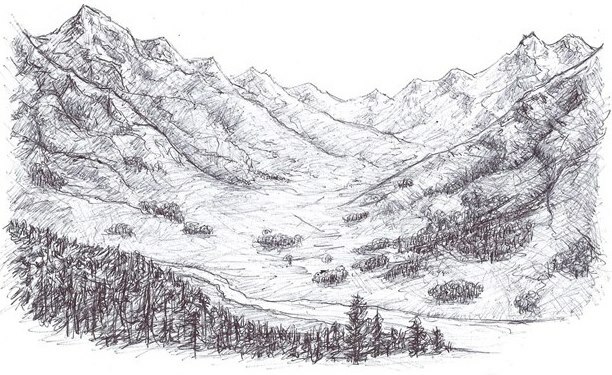 The narrative begins in a wide open valley where the animals are known and loved and fed by the Zookeeper. They are reminded that the one place they aren’t allowed to play is on the other side of the sparkling river, in the dark forest. Do you think they want to? What will happen if they do? 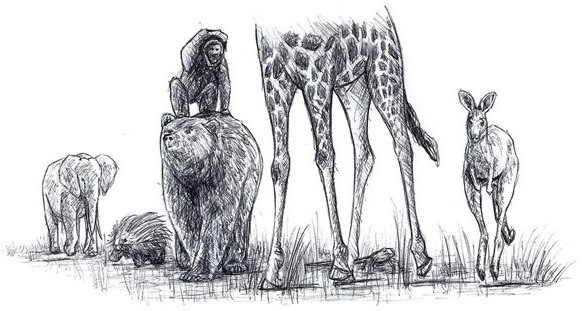 Will the Zookeeper still love them? Will he have a plan to bring them home? You’ll really enjoy the parallels with the Garden of Eden, the slavery in Egypt, the sending of Moses, the return to the land, the promise of the One to come, the surprise of the answer, the love that brought it about, and the beautiful ending. 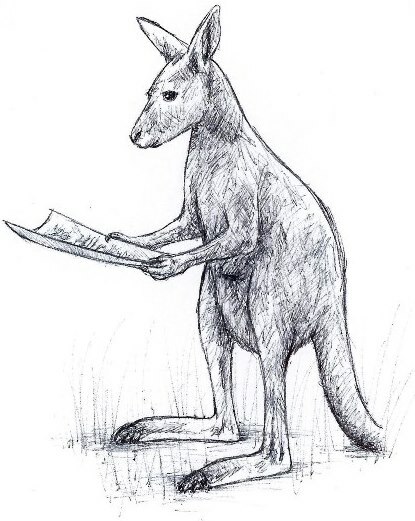 To purchase a copy of the chapter book, please go to the shop section of this website. The books are $15 each, including postage. 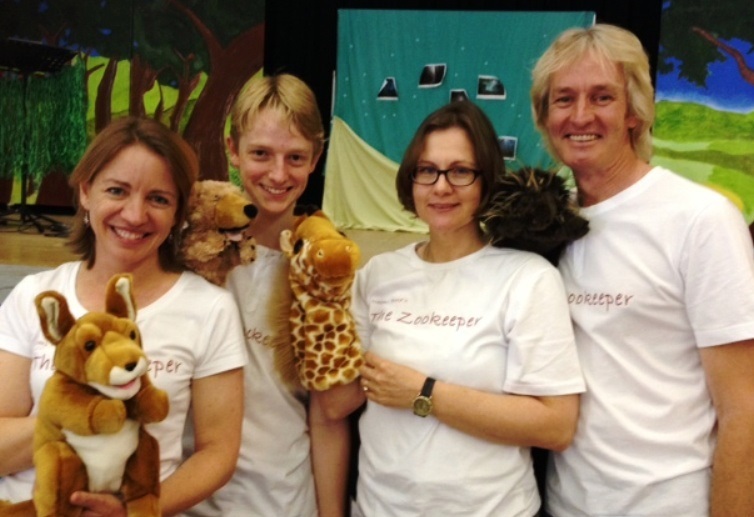 A great morning with The Zookeeper team, captivating young and old, believers and enquirers alike. A creative and professional performance that communicates the message of the bible and the gift of Jesus. Very well done. Naomi and her team are brilliant. The Zookeeper is a creative allegory communicating the overarching narrative of the Bible in a faithful way sensitive to Biblical Theology. We had them perform the Zookeeper for an invitational family service one Sunday morning. Christians found it easy to invite friends to, enquirers found it easy to come to and thoroughly enjoyed the morning. We will have them back again! The Zookeeper is Salvation History puppet-style! A beautifully crafted musical story for kids and adults alike. Engaging and moving. Playschool meets C.S.Lewis meets the Gospels to bring us the big sweep of the Bible. Lovely to experience a team of artists in the service of the truth. Option 1 – Naomi is available to present ten-minute children’s talks in family church services. These are exciting, interactive conversations, involving the children and using The Zookeeper narrative and illustrations. 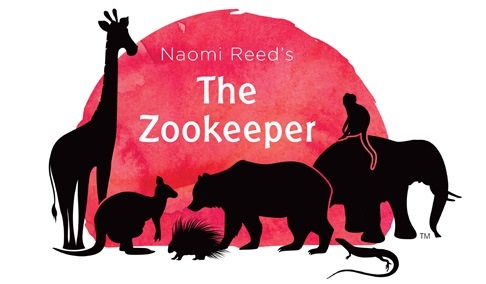 Option 2 – Naomi is also available to perform one-person, author shows of The Zookeeper. These are 30-minute narrations on stage with beautiful background music, suitable for audiences of up to 500. They are perfect for school assemblies, chapel services, beach missions, kids clubs, and outreach events. Option 3 – Naomi can be joined on stage by by Bruce Wheatley (musician and song-writer, www.brucewheatley.com) and Melanie Grouse and Sam Wallace (actors). 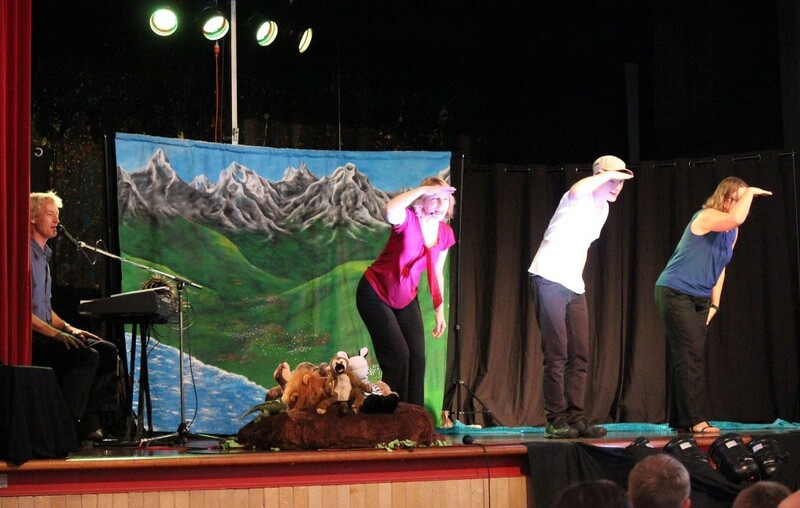 They perform The Zookeeper as a 45-minute full performance with music, puppets and interactive songs throughout. The performance is perfect for larger schools and family church services. 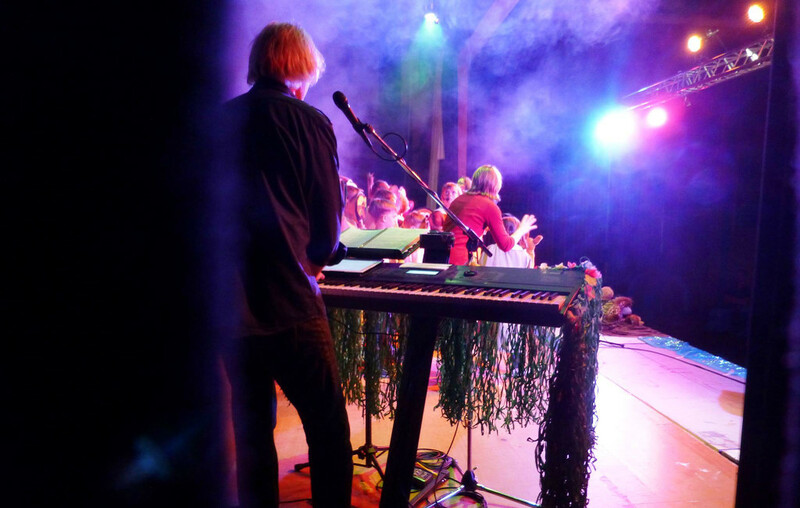 It requires an excellent stage and sound and lighting support from the hosting church or school. Please keep watching the events page to find out about upcoming events. If you would like The Zookeeper to come to your church or school group, please let us know via the contacts page.